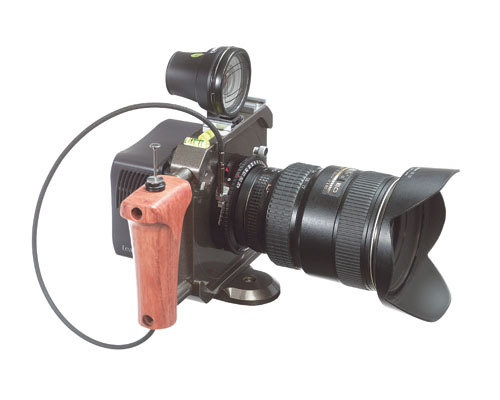 The Miniwide camera is the Wide Angle Solution for Digital Camera Backs. The MW-1 is ideal for the use of different digital backs such as Leaf (Valeo, CMost). Phase One (Lightphase, H5, H10) Megavision (S3,S427) EyeLike 11and others based on the 24 x 36mm sensors. The built-in Copal-1 shutter allows for speeds up to 1/400 sec. 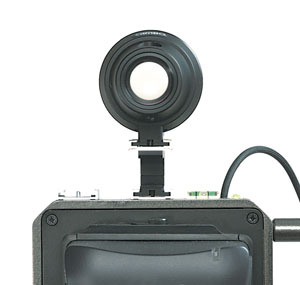 For backs with a larger sensor a camera body MW-3 with Copal-3 shutter is available, allowing more image circle coverage and speeds up to 1/125 sec. This version is suitable for the 16mp and 17 mp digital backs such as Leaf Valeo 17, Leaf Aptus 17, Imacon 96, MV S4 and PhaseOne H20 and P20. The body comes with a choice from interfaces for compatability with either Hasselblad (V or H1), Contax 645, Mamiya 645 Pro, Mamiya 645 AF(D), Bronica Etrsi or Bronica SQ mounts.